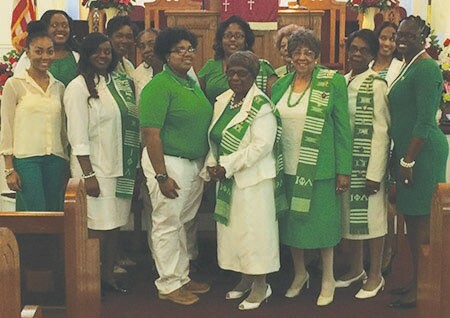 Iota Phi Lambda Sorority, Inc. NU Chapter held their Black History Month observance program on Sunday, February 23 at Bolden Street Missionary Baptist Church. The Mistress of Ceremony was Soror Stephanie Anderson and the Sorority Dorothy Geter gave an outstanding introduction of the guest speaker, Evangelist Gloria Brown. In her speech, Evangelist Gloria Brown paid homage to all of Savannahs pioneers in Black History; those that have transitioned and those that are living legends. In closing, all of the participants and guests stood to sign the famous song that became a jet anthem of the African – American Civil Rights Movement, “We Shall Overcome”. The members of Iota Phi Lambda Sorority, Inc. Nu Chapter would like to thank everyone who attended and shared this special observance with the organization.